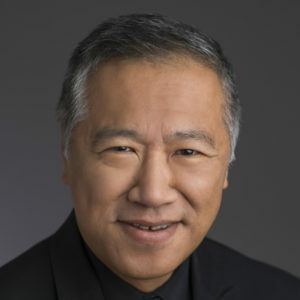 Bill Chin is founder and director of The Oriana Singers, an a cappella ensemble that has performed in the Midwest, Europe, and Central America since 1979. He is a founding member of Schola Antiqua of Chicago and King Solomon’s Singers. Bill is also Assistant Conductor of the Chicago Symphony Chorus, Artistic Director of the Pro Musica Youth Chorus, and conducts the choral recording sessions for GIA Publications.